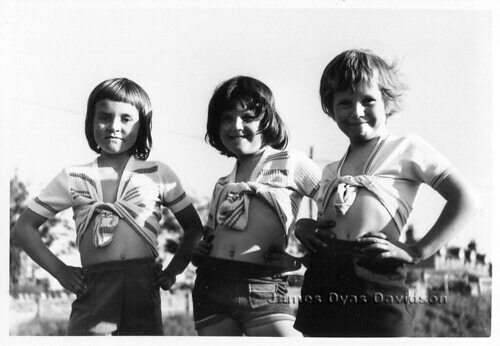 3 Girls, late 1970s, a photo by James_at_Slack on Flickr. A recently found old picture I took way back in the mid to late 1970s when I was just a lad. I was walking around the town of Buckie taking pictures of stuff down beside the harbour. Somewhere near the Star Brae, these three girls wanted to know what I was taking photos of and demanded I take their picture. It was a hot summer's day which makes me wonder if it was 1976? This is a poor scan of the print. If anybody recognises these Buckie girls, I'd love to let them see this.